Grenada is scheduled to host the annual Caribbean Tourism Organisation State of the Tourism Industry Conference (SOTIC), from 10 to 13 October 2017 at the Radisson Hotel. The Grenada Tourism Authority (GTA) hosted a press briefing on Thursday, 7 September 2017 to inform the public about their plans for the upcoming event, as well as to encourage them to register and be part of the entire experience. The conference will be held under the theme ‘Super charging the Caribbean Brand: Meeting the Needs of the new Explorer.’ According to GTA’s Communication Officer, Ria Murray, this event is very important for the tourism industry. She said the Caribbean as a region is competing against many other tourist destinations in the world, and therefore, they must offer quality goods and services. GTA’s Marketing Manager, Francine Stewart, addressed the audience at the press briefing. She gave an insight into some of the activities that will be held throughout the duration of the event. This include seminars which cover topics such as Business Models, Who are the New Explorers, Turning our Waters into Gold Mines, Energising the Brand and Tourism Leadership Exchange. Additionally, Stewart noted that this was a great chance to showcase Grenada as 30 international media entities are afforded the opportunity to tour the Isle of Spice and get a taste of different aspects of Grenadian culture. 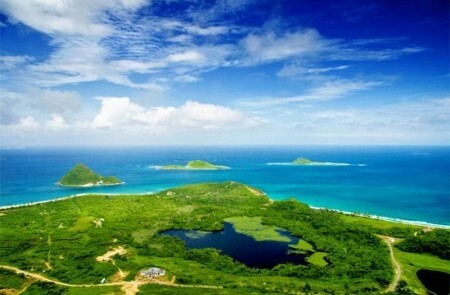 They will also get to visit Carriacou and Petite Martinique. Hoschtialek reminded persons that ‘tourism is everybody’s business,’ and she encouraged them not to miss out on this occasion. Murray reiterated the importance of registering, as it is a chance for persons to network with, and gain knowledge from top tourism industry players, as well as to get ideas on how to further improve their businesses. Persons interested in registering for the conference can do so either online by visiting http://sotic.onecaribbean.org/ or at the GTA Head Office on the Carenage or at the Carriacou office.